Broken Hill was officially named Australia’s first Heritage City in 2015, and is listed on the National Heritage List alongside icons such as the Sydney Opera House & Great Barrier Reef – and with good reason! Our city is an amazing, unique mish-mash of period architecture, mining history, art and culture, and is eponymous with the resources such as gold, silver and zinc that characterise Australia’s economy and society. Here’s ten (of many!) buildings in Broken Hill which are rich in heritage, history and stories. The Palace Hotel is perhaps Broken Hill’s most internationally-recognised icon, thanks to the building being featured so heavily in the iconic Aussie drag-queen comedy Priscilla, Queen of the Desert. The Palace is a very popular destination for visitors to Broken Hill, and its appeal goes beyond its important spot in film history – opened in 1889, the hotel is a heritage buff’s dream, and its famed colourful murals make the inside a real visual treat as well. With its enormous size, colourful stained-glass windows, gorgeous geometric ceilings and prominent location, the Trades Hall is an eye-catching icon of Broken Hill’s cityscape. One of the few Victorian-era buildings remaining, the Trades Hall boasts a fascinating collection dedicated to Broken Hill’s vital role in the Australian labour rights movement. You’re bound to be inspired. The Broken Hill Post Office is another iconic part of the cityscape, easily recognisable for its photogenic clock tower. This beautiful building was constructed between 1890 and 1892, in the town’s gold-mining heyday, connecting the residents of Broken Hill with the rest of Australia and beyond; however, its role went beyond that, serving not only the town’s postage needs but also as a focal point for the community and its sense of civic pride. The Railway Precinct contains two historically significant buildings – a now-disused and derelict railway station (built in 1919), and the newer railway station currently in use (built in 1957). The vastly different architecture strongly reflects how the passage of time drastically changed railway architecture in only several decades. Bells Milk Bar is a tourist favourite which has been serving up delicious sweet drinks it was founded as a confectionary store and cordial factory in the 1890s. It was last renovated in the 50s, and it hasn’t changed since, giving it a feeling of a classic 50s diner. You’ll find milkshakes, spiders (of the “float” variety, not the eight-legged), apple pie and more treats on the menu, as well as a three-room museum out the back dedicated to country café life. 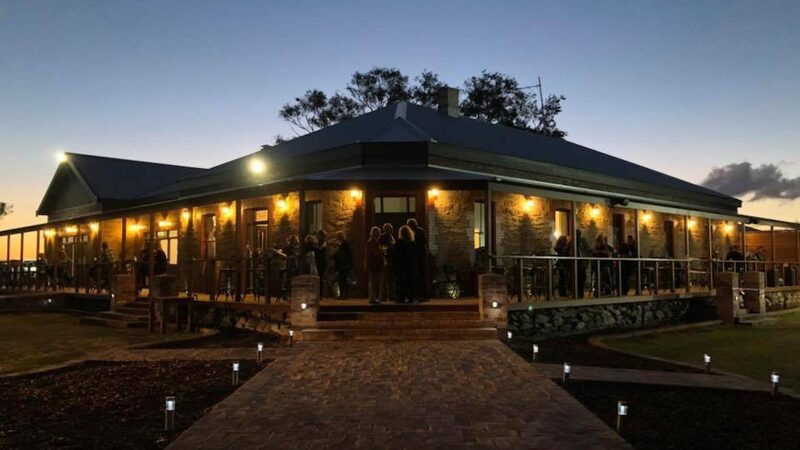 This country pub was established way back in 1886, only three years after Broken Hill was first established. It’s seen a lot of history since then, and even gripped headlines nationwide when it was the site of confrontations between police and unionists in 1892 during a series of strikes which were a critical part of Australian union and mining history. It’s also one of the few (and largest) hotel theatre buildings remaining in NSW. Now the home of the Broken Hill Regional Art Gallery, Sully’s Building has a rich history. Walter Sully’s first store was opened in neighbouring Silverton in 1882; he moved to Broken Hill in 1885 and erected a two-storey stone building as a hardware store which would go on to provide much of the heavy machinery and equipment that was used in the town’s mining industry. Until the store closed its doors in 1985 it was Broken Hill’s earliest longest-surviving commercial business, and it is now a hub of the art scene for the city and Far West regional NSW, as well as an icon of the streetscape of Argent St. Built in 1889, the court house is dignified, modest and yet very photogenic – an excellent example of courthouse architecture of the period. The Heritage of Australia describes the building as “[combining] an unadorned two-storey pedimented front with single-storey side wings, flanked with deeply recessed verandas supported on paired timber columns, and a hipped roof”, with a very eye-catching coat of arms. The gorgeously ornate Town Hall was built in the Victorian Classic Revival style in 1890, featuring an open veranda on two levels. Its style is very beautiful and unique, and even in a town of stunning buildings of historical significance, this is an absolute must-see. With its fascinating range of historical architecture, from the Victorian buildings of the town’s mining boom heydays from to its iconic corner pubs and cottages, you’ll certainly see why Broken Hill is Australia’s first Heritage City. Get your cameras ready!